The milkfish (Chanos chanos) is the sole living species in the family Chanidae. 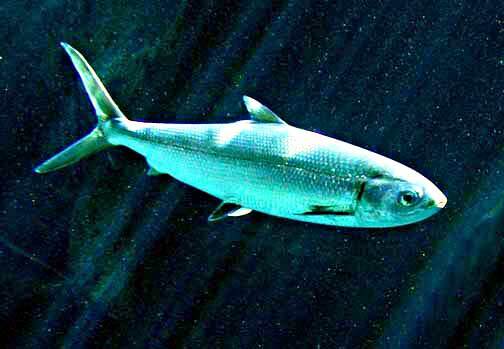 The milkfish is an unofficial national symbol of the Philippines, where it is called by the Tagalog name bangus. 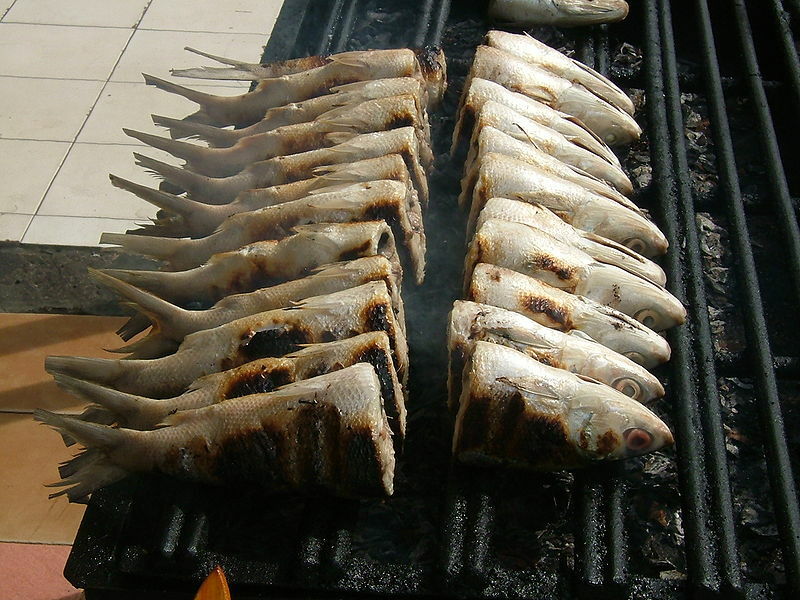 Left: Grilled milkfish in Jakarta, Indonesia. Milkfish have a generally symmetrical and streamlined appearance, with a sizable forked caudal fin. They can grow to 1.7 meters but are most often about 1 meter in length. They have no teeth and generally feed on algae and invertebrates. The milkfish is an important seafood in Southeast Asia. The fry are collected from rivers and raised in ponds where they grow very quickly and are then sold either fresh, frozen, canned, or smoked. Because milkfish is notorious for being much bonier than other food fish, deboned milkfish, or "boneless bangus," has become popular in stores and markets.